Kean Legislation Providing Nearly $3 Million for Historic Preservation Projects Signed by Gov. Legislation sponsored by Senator Tom Kean (R-21) that funds nearly $3 million in grants awarded by the New Jersey Historic Trust for capital preservation projects was given final approval after it was signed by Governor Chris Christie. The legislation, S-2991/A-4583, was co-sponsored by Assemblyman Jon Bramnick and Assemblywoman Nancy Muñoz (both R-21). The legislation appropriates $2,988,859 from the “2009 Historic Preservation Fund” and constitutionally dedicated corporation business tax revenues for the purpose of awarding capital preservation grants for 25 historic preservation projects that have been approved by the New Jersey Historic Trust and the Garden State Preservation Trust. Capital preservation grants fund the restoration, preservation, repair, and rehabilitation of historic sites for new or continued use by nonprofit organizations or county and municipal governments. The properties must be listed or eligible for listing in the State or National Register of Historical Places to qualify. Kean noted that the Reeves-Reed Arboretum in Summit, also known as “The Clearing,” will receive a $21,000 grant for a preservation project through the legislation. 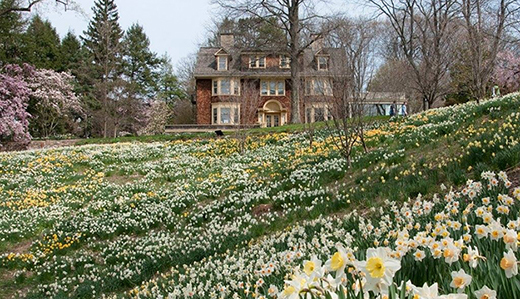 The Clearing was originally designed by Calvert Vaux, a landscape designer and architect best known for designing Central Park in New York City.